Moment Factory’s new office in Tokyo has us all very excited. As we grow internationally, we have focused on deepening our ties to creative hubs around the world. That’s why we chose Japan for our first office in Asia: to connect with pioneers of digital art, who are at the forefront of technological innovation and creativity. Simply put, we’re big fans. By putting down roots in Japan, we are forging partnerships that will keep us on the cutting edge of what we do. Moment Factory’s Tokyo office will serve as the base of operations for a host of projects in development. With over 50 productions each year, we’re looking for fellow dreamers to join us as we bring together powerful visuals, interactive technologies and storytelling to offer people new experiences that are exciting and meaningful. Our Tokyo office will serve as a launch pad for creative and technical cross-pollination. The Tabegami Sama project marked one of our first immersions in local culture, and it showed us the incredible potential that awaits. 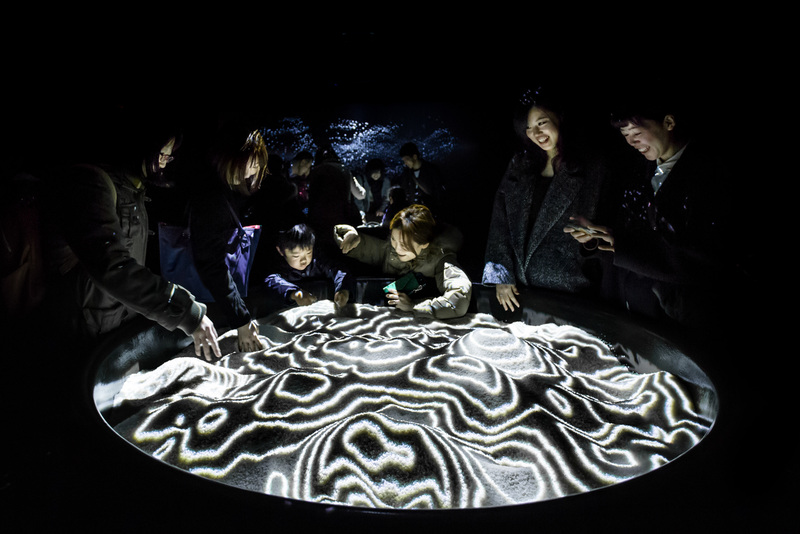 This multi-sensory immersive experience was the beginning of an exciting collaboration with Sony Music Entertainment (Japan). 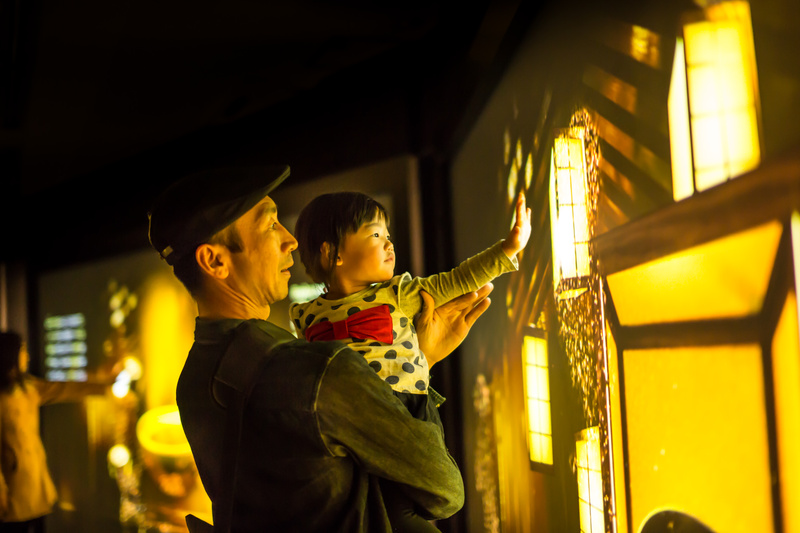 Its enthusiastic reception reaffirmed the power of interactive multimedia to infuse cultural traditions with a fresh sense of wonder, making them engaging and accessible across generations. As a company whose mission is to conceive innovative forms of entertainment, we thrive on creating new worlds where stories aren’t just told, they’re lived. Guided by our credo “We Do It in Public,” we employ multimedia to create memorable experiences that inspire a sense of collective awe and connection. 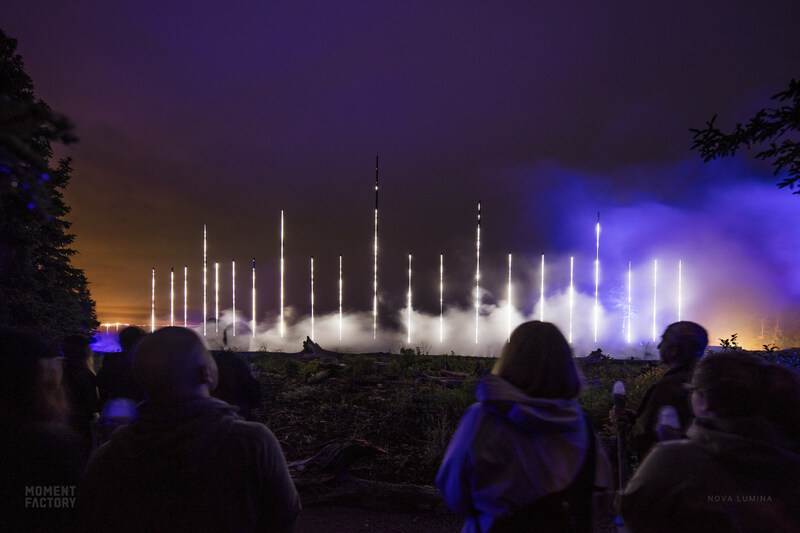 They’re designed to spark public participation, bringing people together to share a moment of enchantment that connects them to places and to one another. Five years ago, we started working on a new format of storytelling for outdoor environments in Canada: the Lumina series of multimedia night walks. 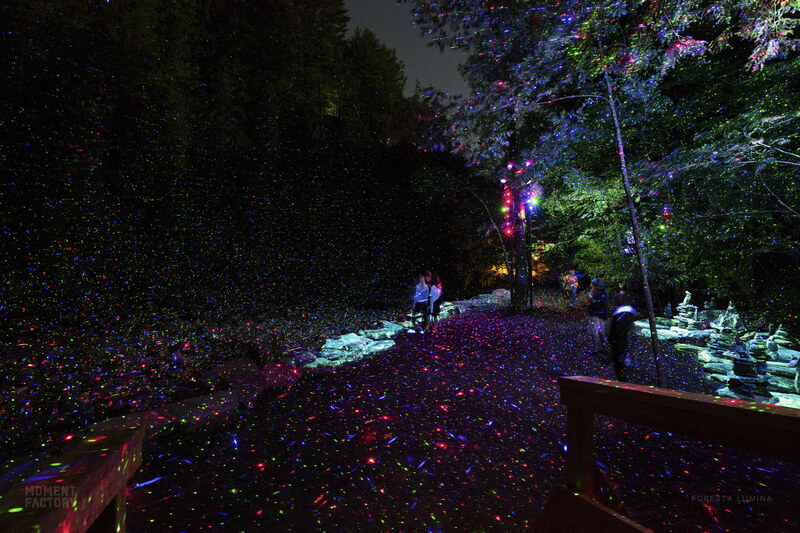 These immersive evening experiences cast an aura that absorbs visitors into its magic. 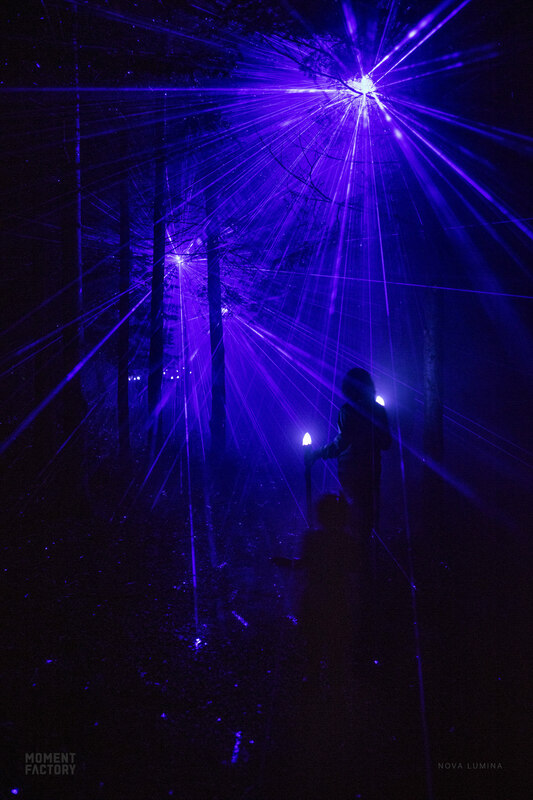 Using light, interactive elements and projection mapping to retell local legends and invent new ones, each experience is tailor-made to enhance a site’s unique natural landscape and ambience. The Lumina night walks reshape places as destinations, drawing visitors who generate positive economic benefits for the regions. We’ve spent years refining our technique to offer a seamless integration that respects nature and discreetly hides the technology used to sustain the multimedia illusions of the Lumina universe. Since their inception, demand for Lumina experiences has surged around the world. Now, we’re thrilled to share these innovative attractions with Japan. We always strive to bring a little more magic into the world. We want to inspire and be inspired by Japanese talent and expertise. We hope to add new dimensions to our creative vision. And we can’t wait to show Japan what we’ve been working on in natural landscapes, urban centers, cultural landmarks and theme parks.